Wanna become a UX Storyteller, too? We are always looking for great UX stories from which we can all learn something. Currently, we are only accepting stories written in English. Please see the full submission requirements for further details. I wanted to tell the story of a project to redesign Guardian News & Media’s Job website, which was carried out during 2009. Guardian Jobs is one of the newspaper’s most successful digital properties. In a time of financial uncertainty, particularly in the media sector, it was important to make sure that any changes to the site improved not just usability, but also the commercial performance of the web property. I was assigned the project shortly after joining The Guardian on a full-time basis as Information Architect, and looked at it as an excellent chance to demonstrate the value user-centred design processes could bring to the business. Strategically the project had two aims. One was simply to give the design a refresh, so that, whilst it retained its own personality, it felt more in line with the look and feel of the main guardian.co.uk site. The second was a business aim. In print The Guardian has additional daily supplements for specific sectors—“Media” on Monday, “Education” on Tuesday, and “Society”, which covers health and social issues, on Wednesday. These carry a significant amount of recruitment advertising, and we wanted to reflect those key sectors much more on the jobs site. 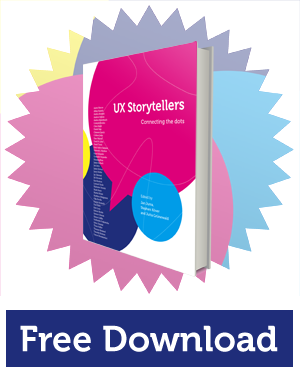 Download the free UX Storytellers eBook to read the entire story. "How to Love and Understand Your Audience by Probing Them"
Now that I have your attention, I’ll let you in on what I’m really talking about. The probe I’m referring to is a cultural probe, which is an in-depth, ethnographic research tool used to generate real audience insights—without spending thousands of dollars or investing months of effort. In this story I’ll share with you my recent experience of using one. I’ll talk about how it enabled us to be innovative in our product design and share some of the tips I picked up along the way. From Archivist to Information Architect. Digitising Finding Aids: I started out as an archivist. As a history student, I found a part-time job writing descriptions of the records of the district attorney and attributing keywords to them. Most of the records concerned petty crimes or car accidents in the 1950s. The photos of the accidents contained contemporary street views otherwise seldom found, and the records of suicides were both gruesome and fascinating. Welcome to Denmark. Denmark, to an Englishman, can be summarized with four words: beer, bacon, butter and bricks. (Lego of course!) There is another “b”—the beautiful people that live here and that was how I was introduced to this small, fascinating land, through my girlfriend (and now wife). It immediately felt like a place I could live in and Copenhagen has a very human scale to it that is not found in all capital cities. Making the leap to uncharted territories was always going to be tricky. Doing it in the world’s most severe recession for 70 years was just going to make it a little bit harder. A month before the move, our English mortgage fell through. But we made it, thanks due to a friendly Swedish bank. As the crunch became a crisis, I knew that if we had left it a few more weeks we may never have made the move. It was in the Nineties. Fredrik, a Swede and former journalist, was walking to his job. For a couple of days he had been working as a web editor for a Swedish public website. Something was rotten on the website. There was this ugly button on the front page. An ugly button with a strange word: “Intranet”. Fredrik didn’t know the meaning of the word, but he did know he hated that button. It made the clean, functional front page a mess. While walking, Fredrik’s mind was occupied with one thing: he had to get rid of that button. It took me a while to realise that user experience was my calling. Don’t get me wrong: I had been fascinated by it for years, and was slowly but surely nudging my job description from analyst to information architect. I voraciously consumed blogs, books and Boxes & Arrows and dreamt about life as a “proper” IA, but I was young and it was easier to stay in this university town with its cheap rent, beer and women, than make the move down South. However, my interest soon snowballed into passion and I knew that I had to make the leap. I took advantage of a well-timed redundancy offer and set off for London with a hangover and a new haircut. I’d like to note that I don’t smoke and don’t encourage others to, either. The problem was, the cigarettes were the closest thing to hand; my iPhone simply happened to be a bit further away. It all began on a cold day towards the end of October in 2005. I was rushing up to go over for a client meeting, 5 miles into the city. As I was about to close and lock my computer, I saw a message pop from the Resourcing Team. I gave it a cursory glance, thought with a sigh, “Another hard gruelling project” and locked my computer. However, I thought I had noticed something like a “travel instruction”. So I unlocked my computer and read it in full. It was indeed a new project I was to take up, but to my disbelief, I saw that I was to travel to Singapore in the next 3 days. Of course, I was shocked, unhappy and essentially disturbed since I was to travel at such a short notice. “Let’s deal with this when I am back from the client meeting,” I thought. The meeting itself went pretty well and the clients were a happy bunch, now that we had turned around their rather clumsy news site into a more “new-worldish site” - in their own words. In the winter of 2008 my most excellent auto mechanic, Jake, gave me the bad news: my beloved 12-year-old car should not be driven through any more Michigan winters. Too much corrosion was attacking the frame. Many car parts can be fixed or outright replaced, but a frame with too much corrosion becomes dangerously weak and impossible to repair. Michigan is in what we Americans call “the rust belt”. The steel in automobiles competes with the salt spread onto the roads during the winter. Eventually, the salt wins because the rust spreads like crazy. “If you really want to keep it forever as you’re always telling me, get something else to drive in the winter,” Jake said. Jake knows what he’s about. He rebuilt the engine for me at 217,000 miles. Replaced the clutch, too. He also modified the suspension and exhaust system for me over the years as we made the car more fun to drive than it had been straight from the factory. "A Day at Acme Corp"
Anyway. Acme had a problem: research showed that their website was completely, unforgivably, disastrously hard to use for their customers. And ugly, on top of that, as if it was spat from a template circa 1996. So I sat down with the executives, everyone with a stake in the online presence, to help them improve the business metrics by improving their website. 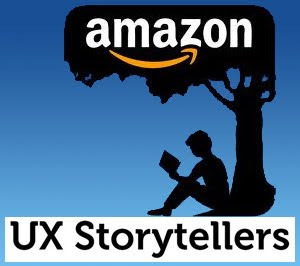 This blog is a companion to the UX Storytellers project. You will find everything that's currently going on, what has happened so far and what is planned for the future. The best way to learn is through listening to stories. The best way to teach is through telling stories. Are you a UX Expert with stories to tell? We would love to hear your story.